Welcome to Cub Scout Pack 223! 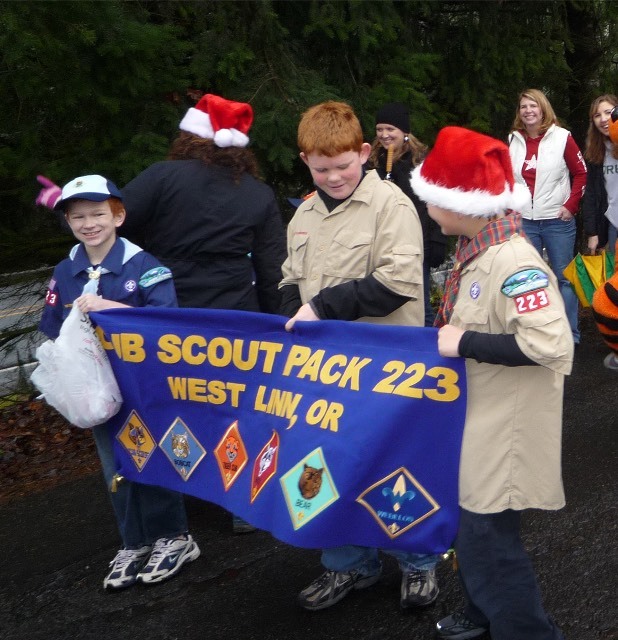 Cub Scout Pack 223 is a safe, active and fun organization that provides family-oriented activities year-round. We are sponsored by the West Linn Lions, and typically meet once a month. Our Pack is made up of Dens for boys and girls in 1st through 5th grade. Dens are a smaller group of boys or girls of the same grade and meet once or twice a month. Our annual activities include Camp-outs, Pinewood Derby, Service Projects, Blue and Gold Celebration, Scouting for Food, Parades, BBQs, and much more! Our annual fees are $70. REGISTRATION REQUIRED - Kids' Firearm Safety - What children should and SHOULD NOT do if they encounter a firearm.